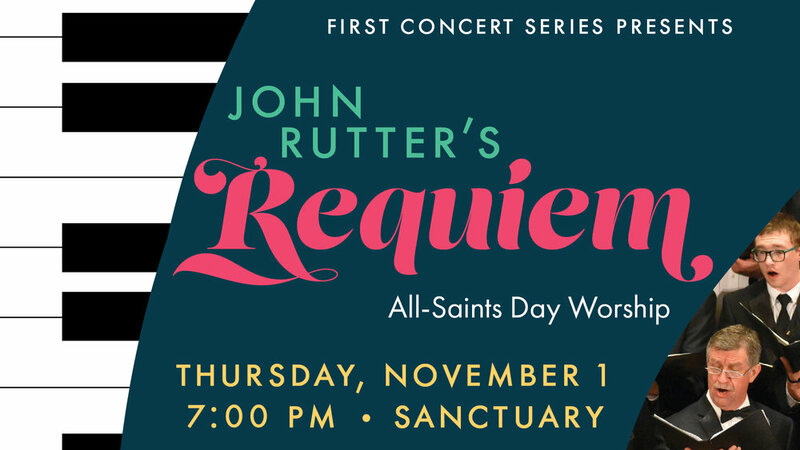 First Concert Series: John Rutter's "Requiem"
Join us for this special worship service as we honor the people of God. This service will include a reading of the necrology- a list of those FPC members that have passed away in the last year. The service will be held at 7 p.m. in the Sanctuary and will feature the FPC Chancel Choir and Chamber Orchestra performing John Rutter’s "Requiem."